The return of the NBA season offers hope. Yes, the Golden State Warriors start are red-hot favourites to win a fourth title in five years, but every team starts with a clean slate. For some, though, this campaign could be pivotal in shaping their careers. Winning games may not even be enough to secure a future with your current employers, considering the ever-changing landscape of the league. A year ago, LeBron James was still at home in Cleveland, Kawhi Leonard was the San Antonio Spurs' focal point to build around for the long term, Carmelo Anthony had joined the Oklahoma City Thunder with the idea of mounting a title push and DeMarcus Cousins was part of a fearsome front-court combination with Anthony Davis at the New Orleans Pelicans. Ahead of tip-off, we take a look at five notable names who all have a point to prove in 2018-19. Now, though, the outlook has changed for the point guard. If he was the centre of attention as a high draft pick in his debut season, now he is a member of the supporting cast behind James. Ball will have to adapt quickly to playing a supporting role, too. James will dominate the ball for the majority of his time on the court, forcing his team-mates to take on other duties, including becoming spot-up shooters. Ball had a 30.5 percent success rate from beyond the arc last season - that number needs to rise if he wants to feature at crunch time in key games. What will we see from Leonard now he is no longer in San Antonio? A return to the levels that saw him named NBA Finals MVP in the Spurs' title-winning side in 2014, or a wasted season as he waits to end up in a preferred location? The Toronto Raptors took a huge gamble in trading for a player who has one year remaining on his current contract, even if someone of Leonard's level rarely hits the market. They have parted ways with their own franchise linchpin, sending DeMar DeRozan in the opposite direction. If Leonard is somewhere else by this time next year, the NBA's Canadian franchise may have little choice but to go into full-on rebuilding mode. But general manager Masai Ujiri knew the risks in making the deal. His hope is that Leonard likes what he sees in Toronto, who have excelled in the regular season but struggled to make an impact in the playoffs - and decides to stick around. If he does, it not only changes the long-term outlook for the Raptors but also the entire landscape of the Eastern Conference. Is having Anthony - a 10-time All-Star and former scoring champion - a hindrance or a help? The Houston Rockets are about to find out. The 34-year-old was acquired by Oklahoma City last year in the hope he could help the Thunder make some noise in the West. Instead, they lost in the opening round of the playoffs to the Utah Jazz in a series that saw Anthony contribute 71 points in six games. The Thunder cut their losses by trading the forward, who was subsequently bought out of his contract by the Atlanta Hawks before joining Houston for the veteran's minimum. 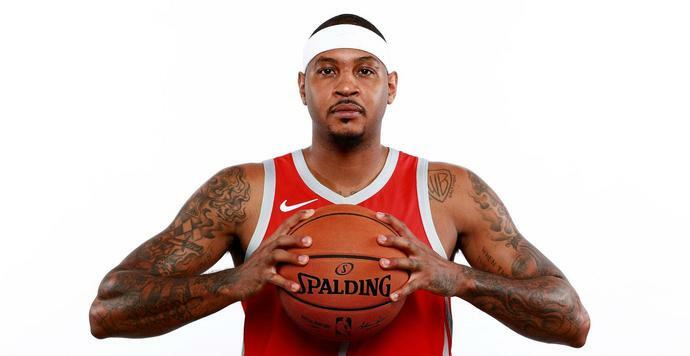 If the Rockets get a little of the old Anthony, the one who revelled as the star in the Big Apple with the New York Knicks for so many years, it could help them topple the Warriors. If, though, they just get an old Anthony, it suggests the forward's decline is more permanent. LeBron's departure from Cleveland clears the way for Love to become the Cavs' focal point. He was exactly that for the Minnesota Timberwolves before he teamed up with James in 2014. The relationship between the pair was unsteady. "I had a lot of hard nights. There were dark times," Love - who won the title in 2016 but has endured a myriad of injury problems in recent years - said in an interview with ESPN. Now, though, the power forward has the opportunity to return to his Timberwolves form, certainly in terms of scoring points. His talent is not in doubt, but there are plenty of miles on the clock and now his team are looking straight at him to lead the way. He is out of contract next year, too. Put up big numbers and Cleveland, or even another franchise, will stump up the cash. For Golden State, the rich keep getting richer. The powerhouse in the NBA added an offensive-minded big man to a core unit that just swept their way to a championship. As if Steph Curry, Klay Thompson, Kevin Durant and Draymond Green were not enough to contend with, the Warriors added 'Boogie' into the mix. Fans will have to be patient in waiting to see how Cousins fits in with the free-scoring Warriors - it is still not known when he will be fit to play again - but his presence with the champions is one of the most fascinating subplots to this season's NBA story. It may not be a long player-team relationship, but it could benefit all parties.